Chris Glover - Originally from Liverpool, now living in New York. Journalism and Politics Graduate from University of Strathclyde, Glasgow. Professional Boxer and PR Specialist at The Trinity Group. 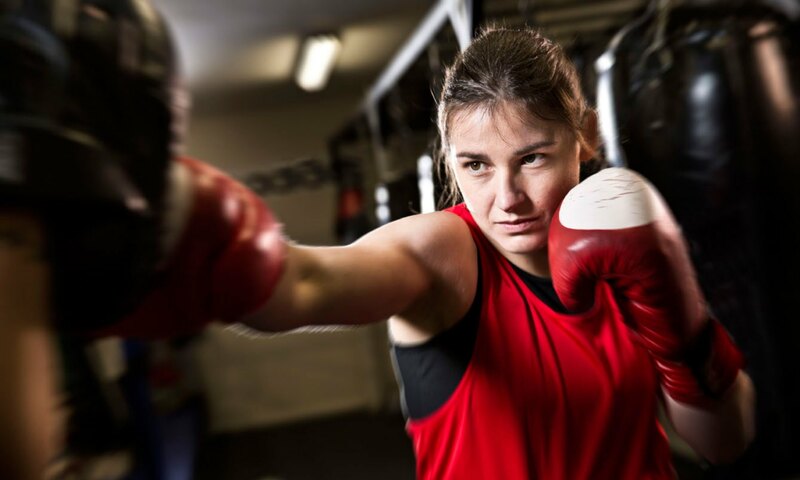 It appears a collision course is apparent as Chantelle Cameron and Katie Taylor both hold versions of the World Lightweight title. Taylor has the big backing of Matchroom Sport, based on her standout amateur career and has seemed to adapt to the professional style with relative ease, picking up the WBA World Lightweight crown in her seventh contest on the undercard of Anthony Joshua vs Carlos Takam in Cardiff. Taylor will defend her title next Wednesday at the legendary York Hall against American Jessica McCaskill in what many would assume would be a routine defence for the Bray banger Taylor. Chantelle Cameron was also an amateur standout. Not to the extent of Taylor, but the Northamptonshire native spent a long time on the excellent Team GB setup. This has arguably given her the tools to adapt to the Professional game in the manner Cameron has. This, along with the link up with the McGuigan’s, has given her the platform to pick up a version of the World title within 5 fights. ‘Wam Bam’ is working under the tutelage of Shane McGuigan and it’s evident that things are going to plan as Cameron has looked flawless in her opening 5 contests as a pro. The question is are the pair heading for a collision course? There are many facts to consider in this equation. Firstly both fighters definitely have the ability and skill set to become multi weight World Champions. This could make the fight much bigger in the long term, however, this could also complicate the process of the pair colliding. Also the situation with their respective promotional outfits could further complicate matters. It’s no secret that their has been some professionally hostilities in the past between Cyclone Promotions and Matchroom Sport. Despite the pair working together on Frampton vs Quigg and Taylor vs Davies, it’s not a common occurrence for a Cyclone fighter to square off. One other factor is Tasha Jonas. Another Team GB Alumni and now a rising Lightweight prospect herself, will be eyeing revenge on Katie Taylor, who defeated the Scouse Lightweight at the London Olympics, denying Jonas of a medal. Jonas also has the backing of Matchroom Sport so that fight seems a more likely fight to make, with the pair being under the same promotionally banner. The likelihood of Jonas facing Cameron prior to fighting Taylor many would suggest is a more likely outcome for the immediate future. The chances of a three way dance between Britain and Ireland’s top three Female Lightweight’s may be a real possibility due to the fact that there still isn’t ‘mega money’ in Women’s Boxing. It’s good to see Women’s Boxing on the rise, but the purses are still a great deal less than many male World title contests. This could make these fights easier to make and hopefully for the fans these fights come to fruition. So who would come out victorious? It’s hard to say as we have only seen the trio square off against mostly limited opposition with the exception of Cameron and Taylor’s last few contests. Despite this, down to the amateur success of Taylor, it would be hard not to class Taylor as the favourite to triumph over all of her rivals in the foreseeable future. Cameron has age on her side however, being 5 years younger than Taylor and 7 years younger than Jonas. Naturally, this gives Cameron more time to improve and possibly swing a fight with Taylor more into her favour. Jonas has the harder task of the three, being 33 now so will have to be fast tracked. This arguably would make a contest with either Cameron or Taylor more likely as she will look to be involved in a big fight sooner rather than later. The reality is these contests will come down to timing, and whether boxing political issues can be resolved. It’s hard to predict outcomes, as timing is everything in Boxing, and based on the timing of these contests (if they happen) could be a crucial factor in what the eventual outcomes would be. Jonas also is still officially down at Super Featherweight, but a move up to Lightweight would likely be a natural move to get that big fight that all fighters crave.